Today, direct composite restorations in posterior teeth are a part of the standard therapy spectrum in modern dentistry. The performance of this treatment method in the masticatory load-bearing posterior region has been conclusively proven in many clinical studies, even for extensive composite restorations with cuspal coverage. These restorations are usually carried out in an elaborate incremental layering technique. Aside from the possibilities that highly esthetic composites offer in the application of polychromatic multiple-layer techniques, there is also a great market demand for the most simple and quick and therefore economical to place bulk-fill composite materials for posterior teeth like ORMOCER®. New trend sports can lead to a dental trauma, especially among young patients. The fracture of a juvenile anterior tooth crown with pronounced translucence and anatomy is one of the most common occurrences here. Especially in this case, it is difficult to reconstruct the original play of color and light. Today, adhesive cementation makes it possible to reposition the fracture piece as a reattachment restoration. Nothing fits better than one's own hard tooth substance. However, what should be done when the fracture piece can no longer be found or cannot be repositioned because of fragmented components? Composite and the acid etch technique allow us to provide minimally invasive treatment, but reconstruction is often difficult to do precisely and naturally, particularly in the case of juvenile teeth and larger defects. A genuine highly esthetic and durable alternative is offered with an all-ceramic restoration. This prize-winning entry in the "Asia-Pacific" category of the IPS e-max Smile Award 2016 describes the case of a patient who was treated with tooth-supported and implants-borne restorations. This initially complex case was expertly solved by using a straightforward treatment approach and establishing a uniform. Caries Excavation - Not all new but a bit better? Complete caries excavation was traditionally regarded as a basic precondition for successful restorative treatment. New results from clinical studies and a better understanding of the disease have led in recent years to a paradigm change in the treatment of caries lesions. Studies confirm that, in the case of deep caries, selectively leaving carious dentin in the vicinity of the pulp leads to less pulp exposure and fewer postoperative complications. On the other hand, fears of caries progression due to persisting bacteria were not confirmed on account of the tight sealant effect of the restoration. 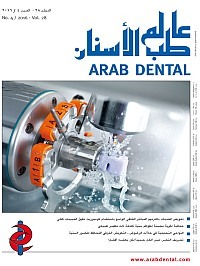 The following article presents different strategies for caries excavation, showing and assessing their advantages and disadvantages on the basis of recent scientific findings.